Toshiba has developed a technique to recover rare earth materials and rare metals from a solution from which uranium has been extracted. The technique revolves around recovering dysprosium and neodymium from liquids via a fused-salt electrolysis method. The company will conduct field tests of the technology in Kazakhstan with help from Japan Oil, Gas and Metals National Corporation. 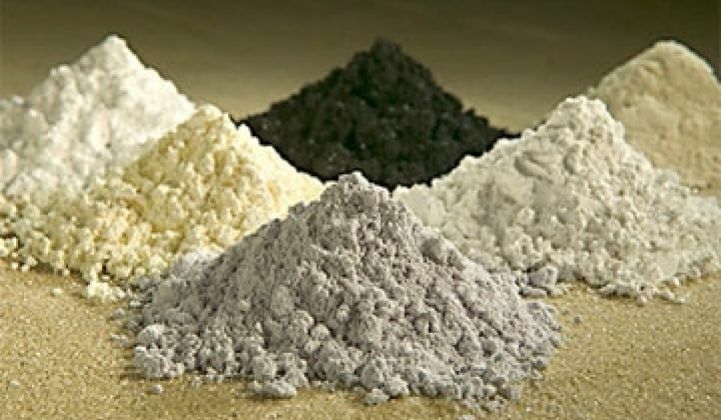 If the new technology becomes widely used at uranium mines in Kazakhstan, it will recover enough amounts of rare earth materials to provide about 5% of the rare earth materials that are used for rare-earth magnets in Japan, the company said. Rare earth elements -- which are used in the magnets in electric vehicle motors -- are all over the headlines these days, thanks to the veiled threats from the Chinese government to limit exports. China mines around 97 percent of the 17 rare earth elements. In 2009, export quotas sat at approximately 50,000 tons. This year, China dropped it to 30,000 tons and further cuts slated to take effect next year could drop it to 24,000 tons. Both the expected shortages and the continued uncertainty are worrisome. Molycorp's stock has exploded since then. Japan, in particular, has been active in finding ways to get around China's current monopoly on the supply of materials. Both Mitsubishi and the University of Tokyo are studying magnet recycling. (In a separate effort, Toyota is examining how to recycle nickel, which is not a rare earth element but is a commodity that fluctuates in price, for use in its hybrids.) Others, like NovaTorque, have come up with electric motors that don't require rare earth elements. For more on Toshiba's efforts, please go to TechOn.